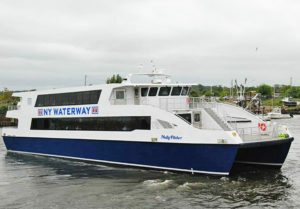 Recently gplink was installed on a pair of catamaran-type passenger ferries operated by New York Waterway: Molly Pitcher and sistership Betsy Ross. These 110′ aluminum boats can carry a full load of 400 commuters up to 28 knots thanks to her twin 2,367 horsepower Cat 3512C engines driving ZF gears and traditional shafts. 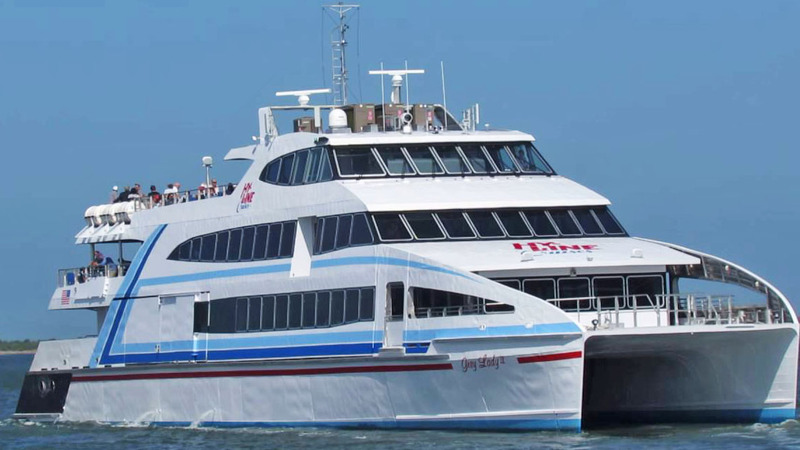 These new commuter ferries are no slouch on amenities either, offering passengers with beautifully decorated cabins, flat screen TVs, plush seating and WiFi. 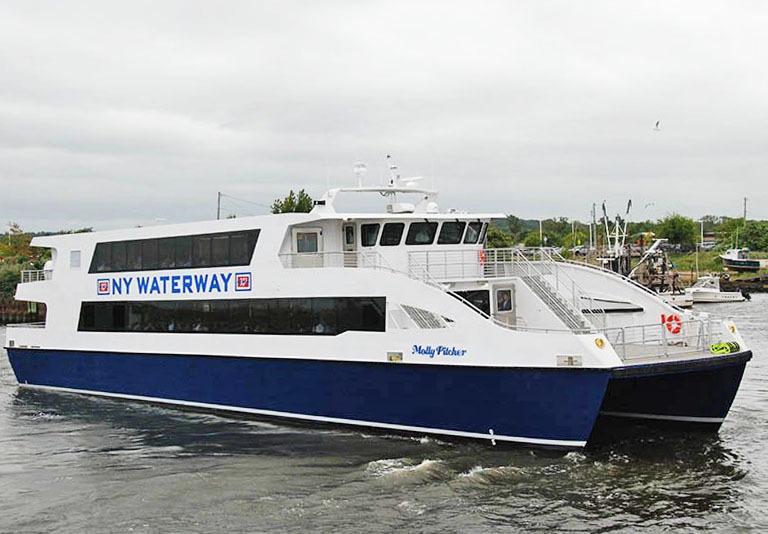 Betsy Ross and Molly Pitcher are just two of many passenger ferries from New York Waterway equipped with gplink. 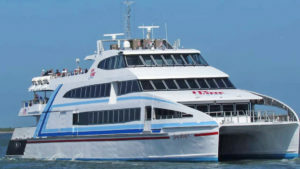 Massachusetts-based Hy-Line Cruises operates a passenger ferry service between the mainland of Cape Cod and the islands of Martha’s Vineyard and Nantucket. Their latest edition to the fleet, Grey Lady IV, is a 158′ 3-deck aluminum catamaran with a passenger and crew capacity of up to 500 and a top speed of 35 knots produced by four Cummins diesel engines each coupled to their own HamiltonJet waterjet drive. gplink is very proud to add this impressive vessel to their catalog of monitored boats equipped with Cummins Marine engines. The gplink system can be readily installed on any boat with any major brand engine including Cat, MTU, Cummins, Volvo Penta and John Deere. Peace of mind in a daily commute comes from knowing the designated vehicle or vessel won’t suffer a failure. gplink helps provide assurance to this by keeping tabs on multiple engine operating parameters both in real-time and through log recording to help detect issues or abnormalities before they can cause failure.